Boreskov Institute of Catalysis (BIC) screened and tested catalysts for (i) synthesis gas production from diesel, biodiesel and model biofuel and (ii) selective NOx removal & emission reduction using this synthesis gas. 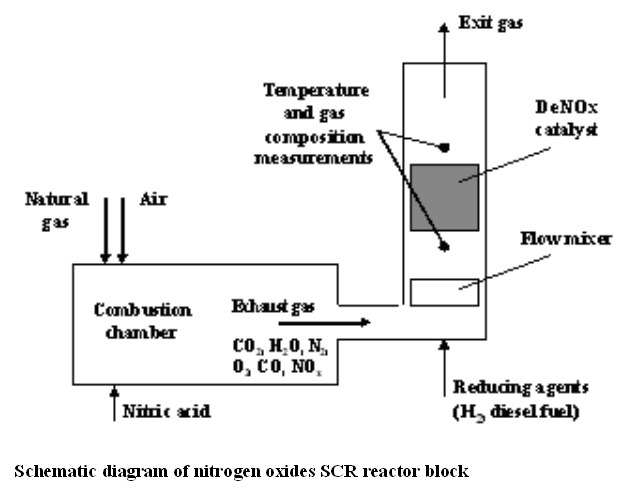 The figure below shows a diagram of the SCR reactor block. The system has been tested at laboratory scale at BIC and is now connected to the other Russian partner NAMI engine for integrated testing in NAMI’s engine laboratory.